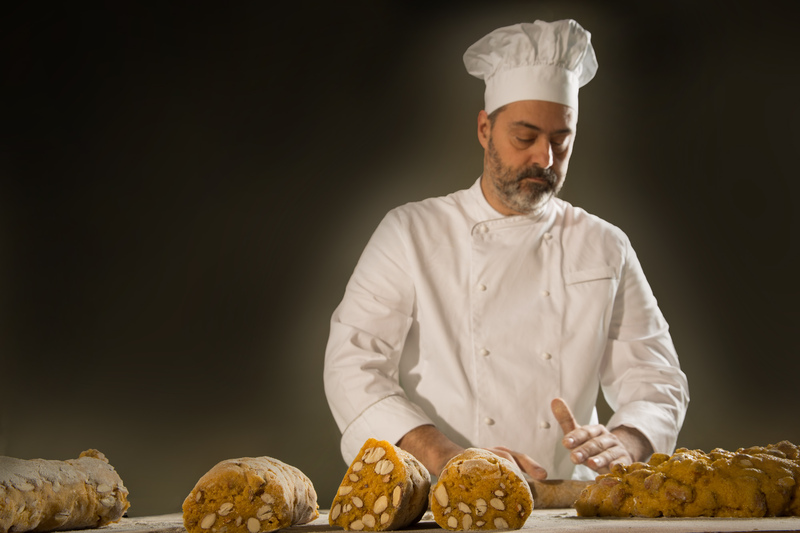 Italian artisan tradition, crafted by vocation. 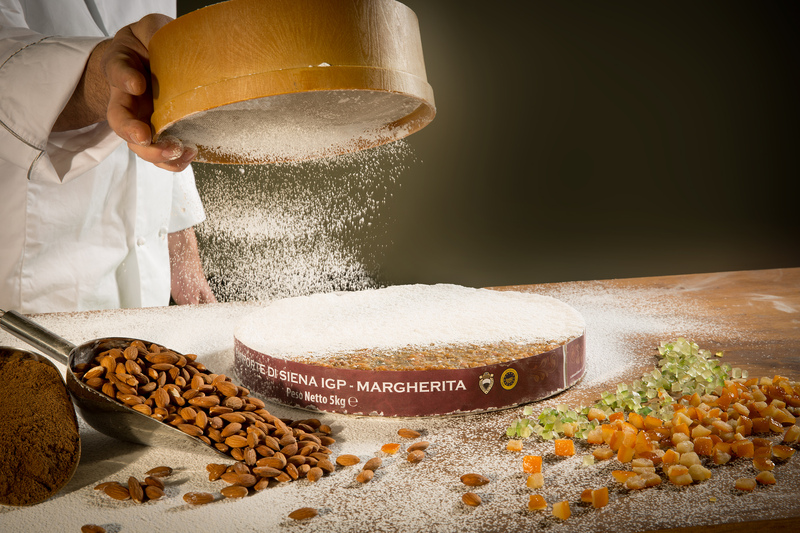 Since 1827 the passion for our products. 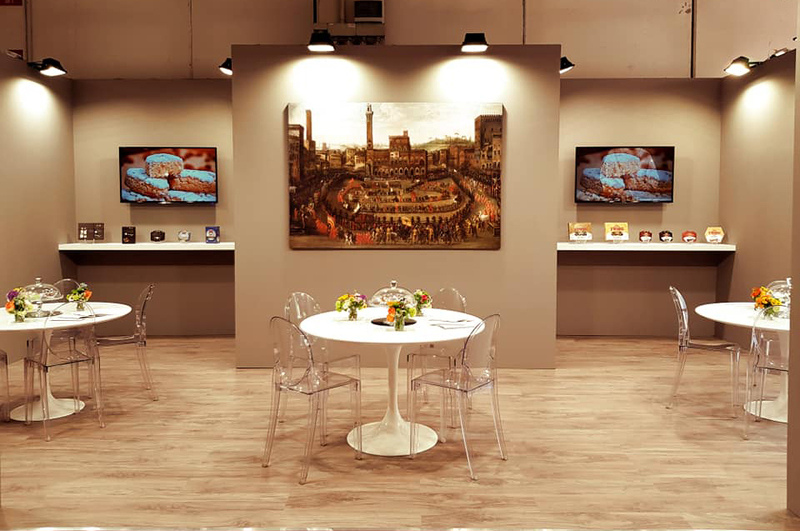 Millennial traditions, quality and elegance: distinctive signs that have made our company famous throughout the world. 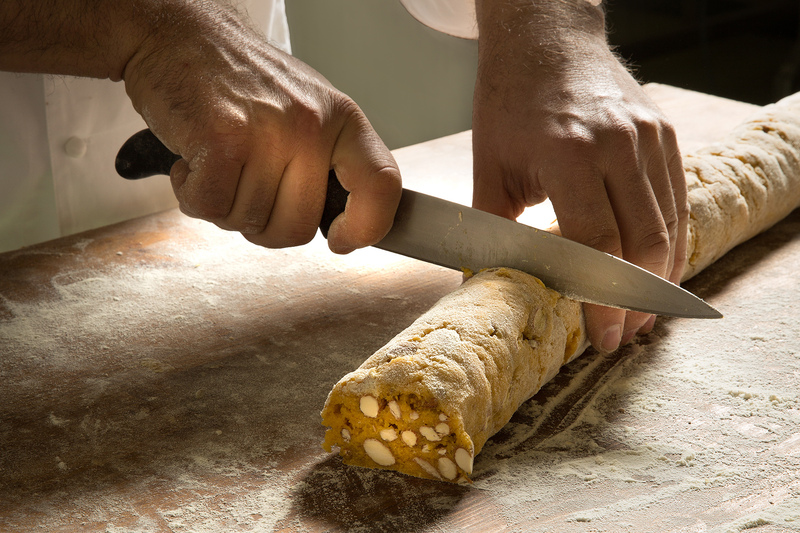 To pass on the good one takes one's taste. 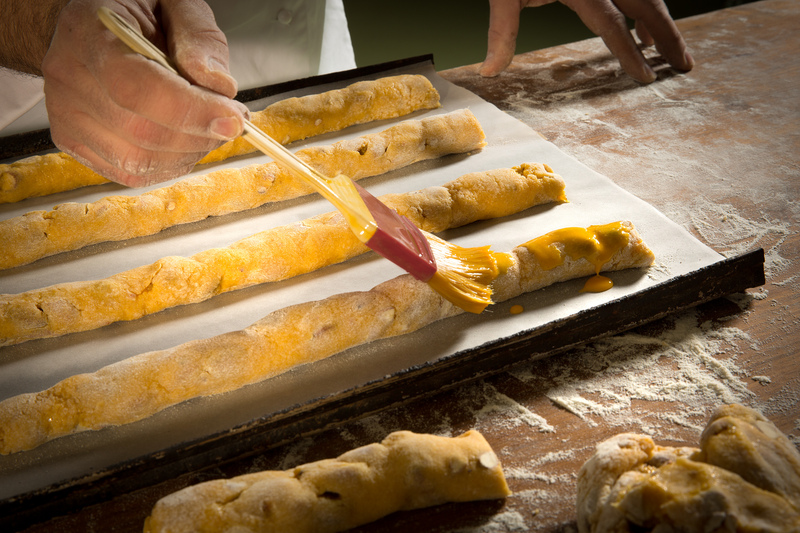 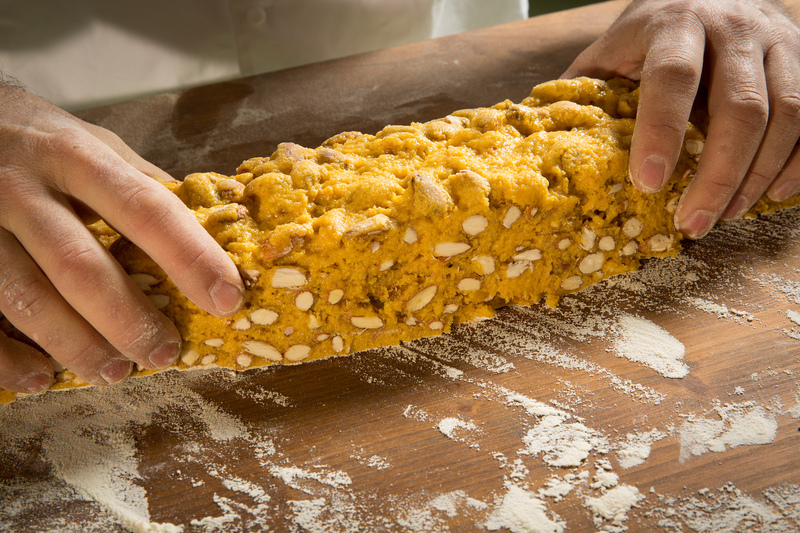 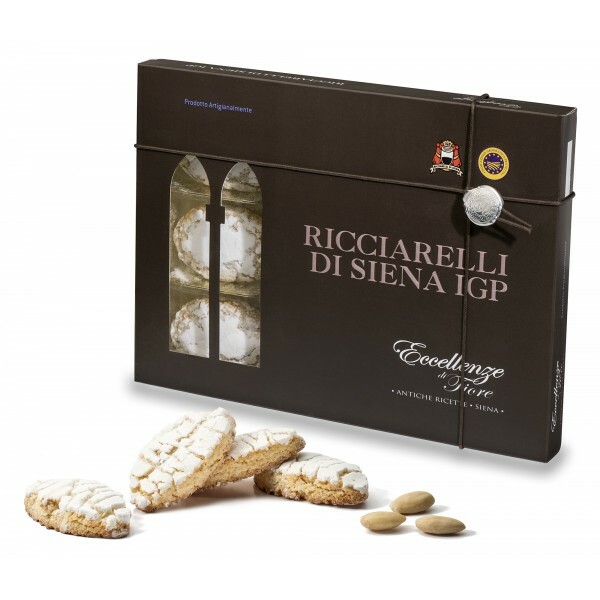 The Premiata Fabbrica Fiore has always written the history of sweets typical of the Sienese tradition. 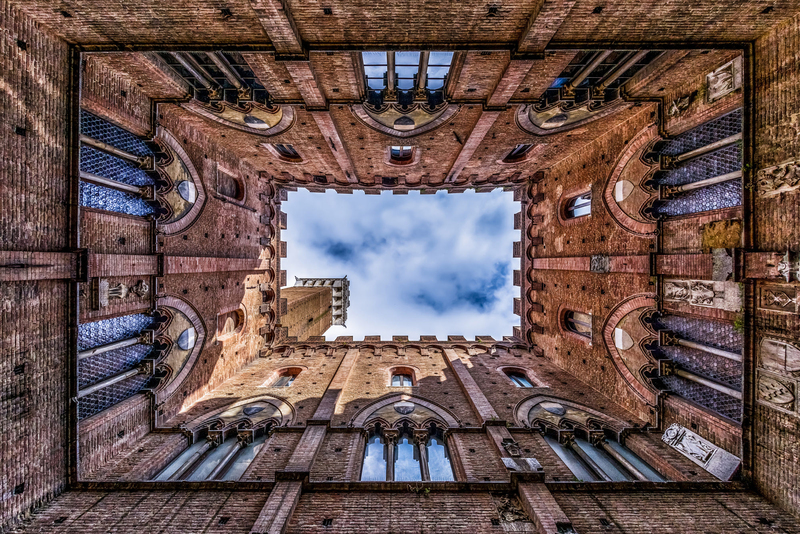 A story that is almost two centuries long, which over time became part of the culture of the city of Siena itself. 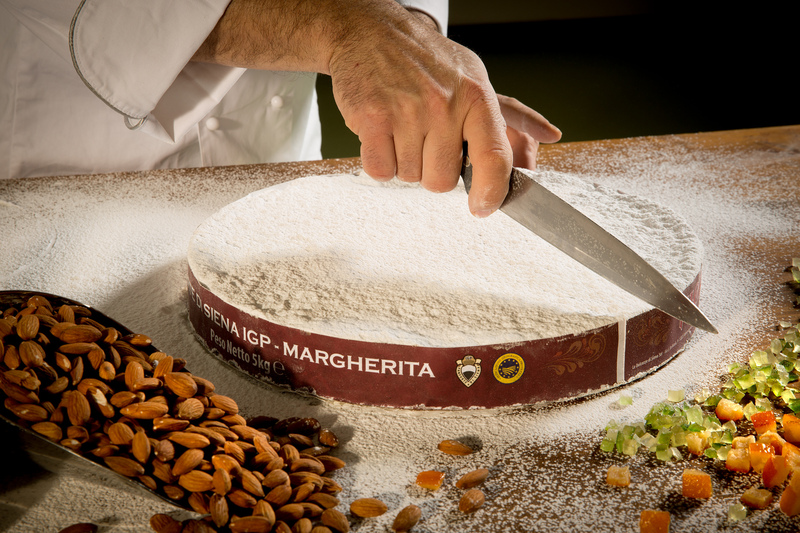 Since 1827 we promote the flavors of a land linked to its centenary traditions. 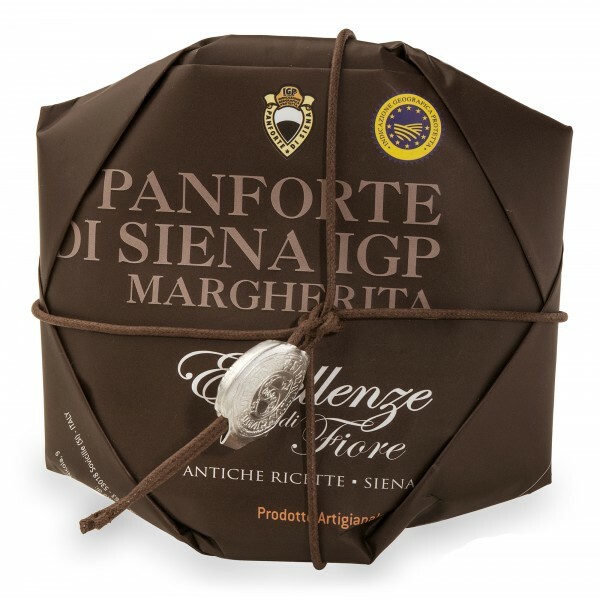 The history of this company is linked to an ancient knowledge, that of Siena's spices. 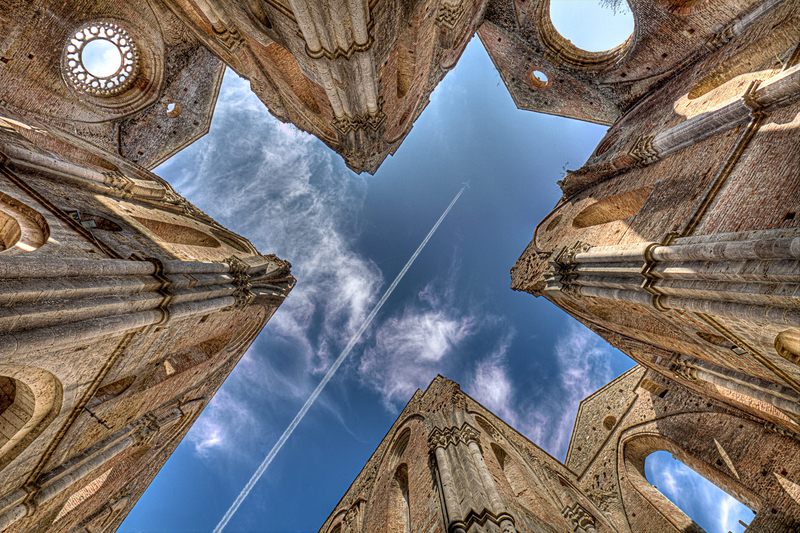 A knowledge that since the thirteenth century has been handed down in the monasteries and Sienese abbeys and that has found its propulsive fulcrum in the "Santa Maria della Scala", the medieval hospital of Siena that inside it had the "College of the Medici" and one of the main spice shops organized in the city. 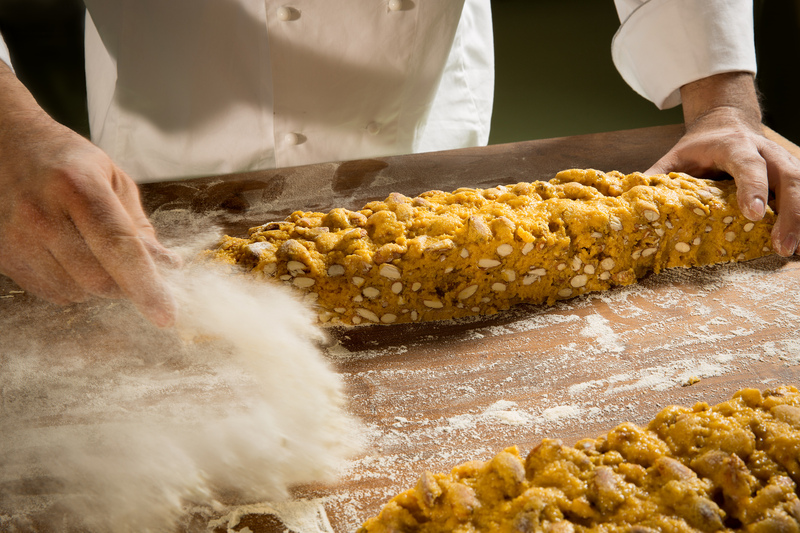 The first processing of Panforte took place right in the back room of these ancient spice shops as they provided for the use of expensive spices in the dough. 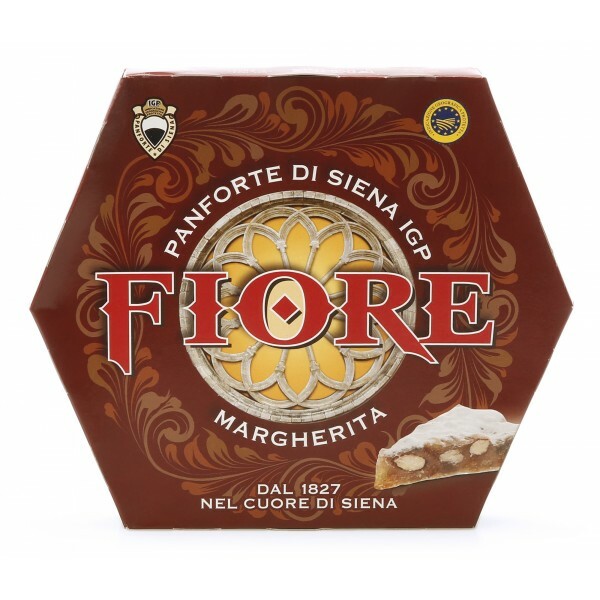 Fiore was founded in 1827, in the historic headquarters of via Garibaldi in Siena, just as a pharmacy and a pharmacy: it is from here that its ancient recipes originate, from the ability of the specialists who were able to use the gifts of nature to alleviate and cure the ailments of man. 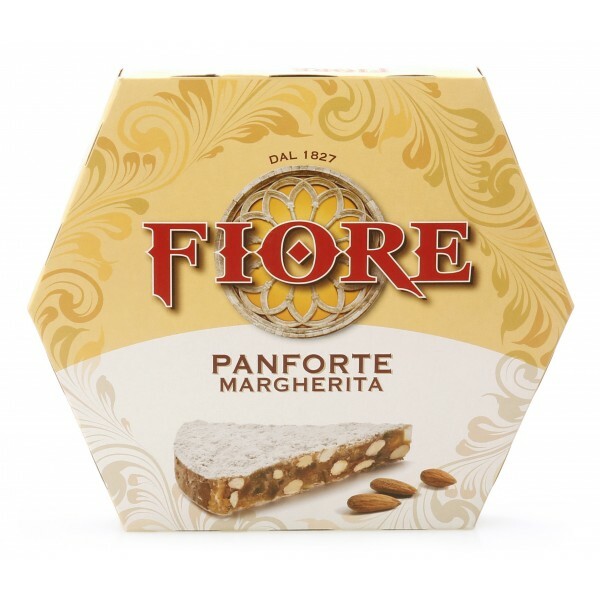 A company that is synonymous with respect for this ancient history and confectionery tradition, but is also synonymous with innovation and a continuous search for quality in the choice of ingredients and in the processing process. 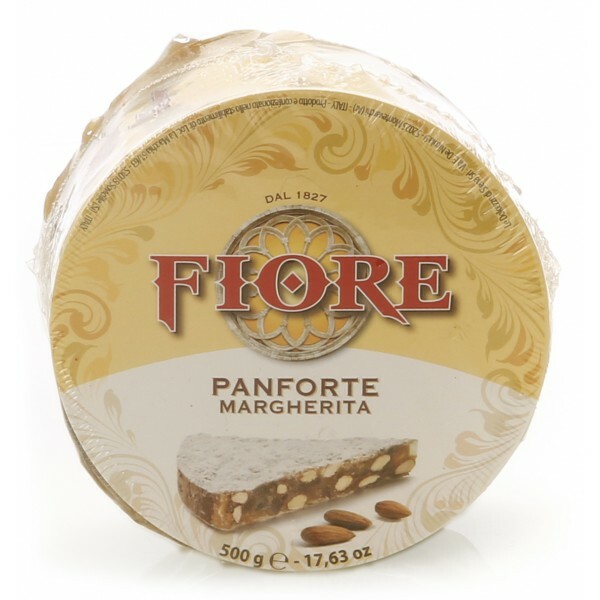 Fiore has always carefully selected the raw materials, aiming for excellence, the meticulous control of the production chain and respect for the territory. 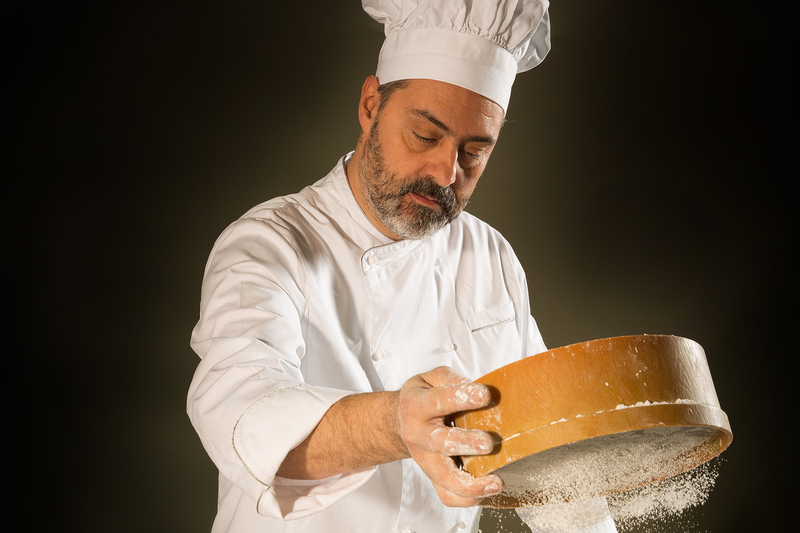 In the works it has carried on a process of innovation, but without betraying the ancient recipes and the consolidated processing techniques. 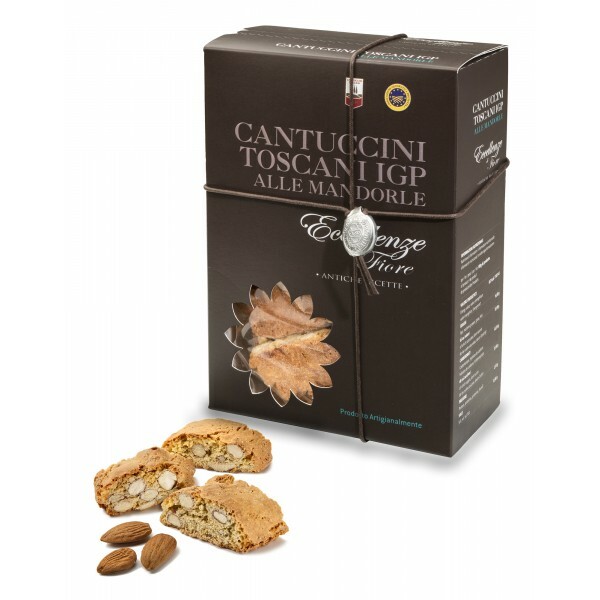 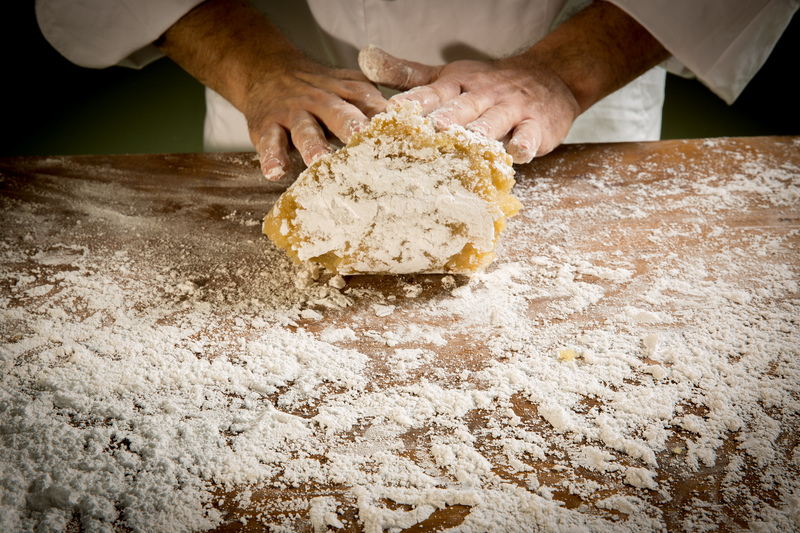 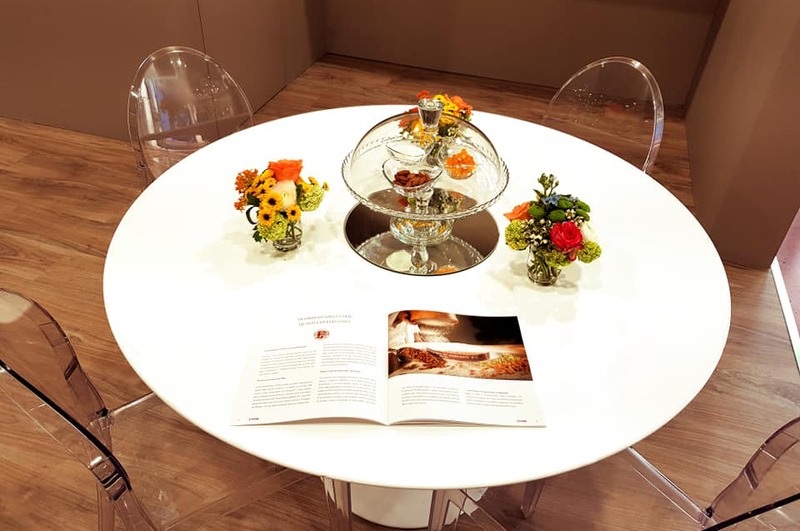 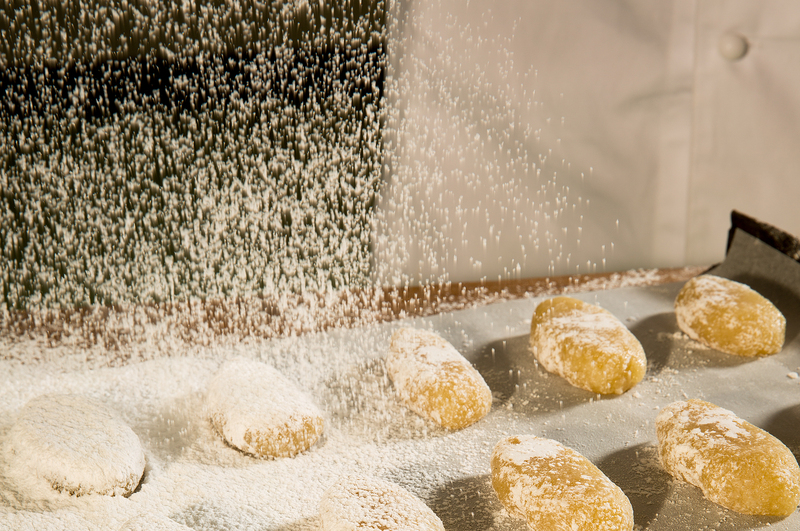 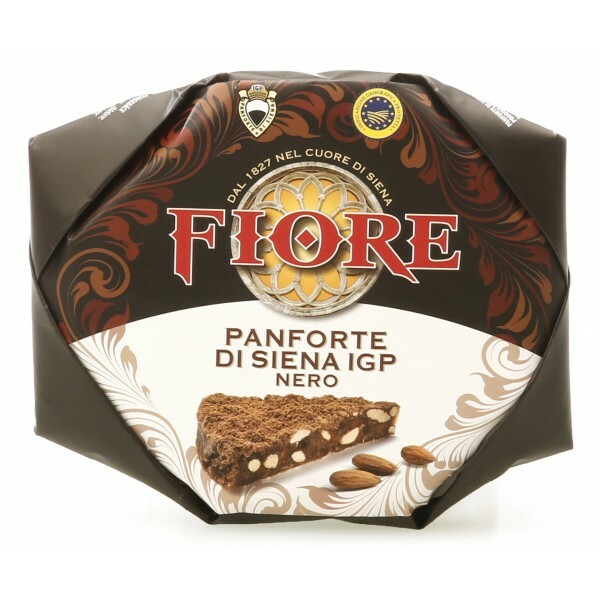 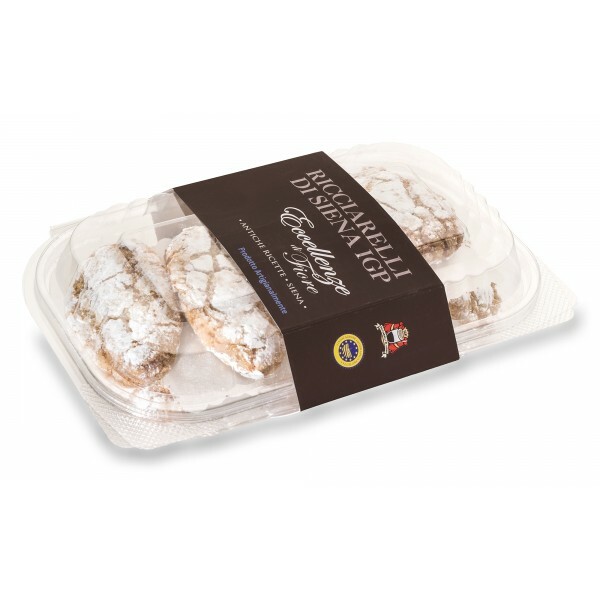 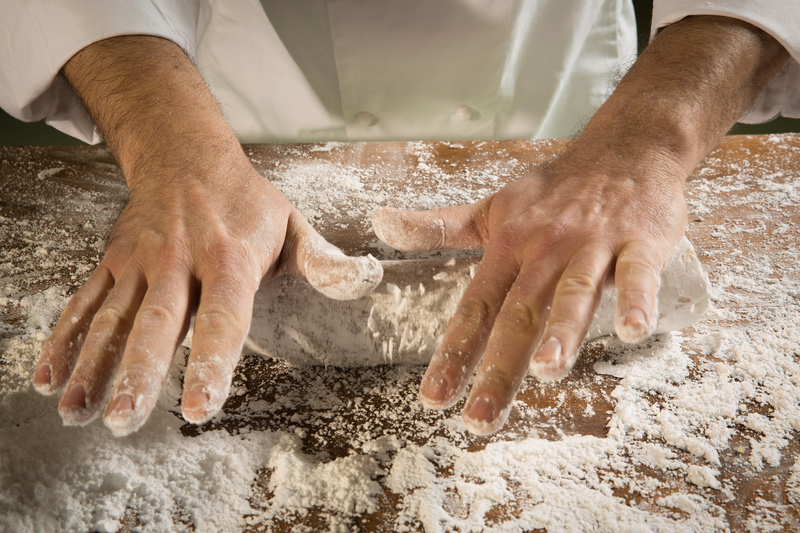 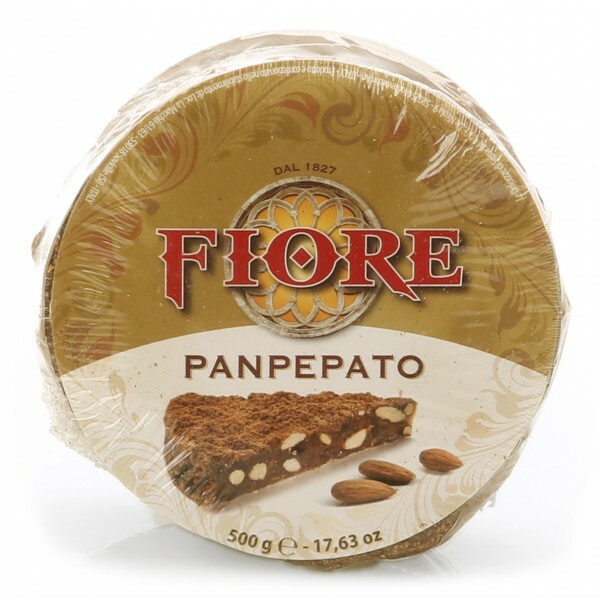 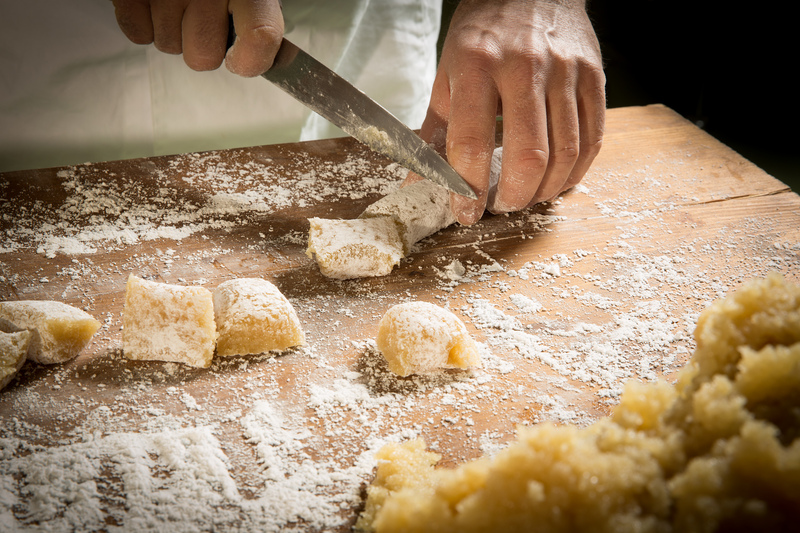 Thanks to this approach, the desserts produced by Fiore are recognized as an excellence in the field of typicality: it is one of the few confectionery companies in the Sienese territory to have three IGP brands for Panforte, Ricciarelli and Cantuccini. 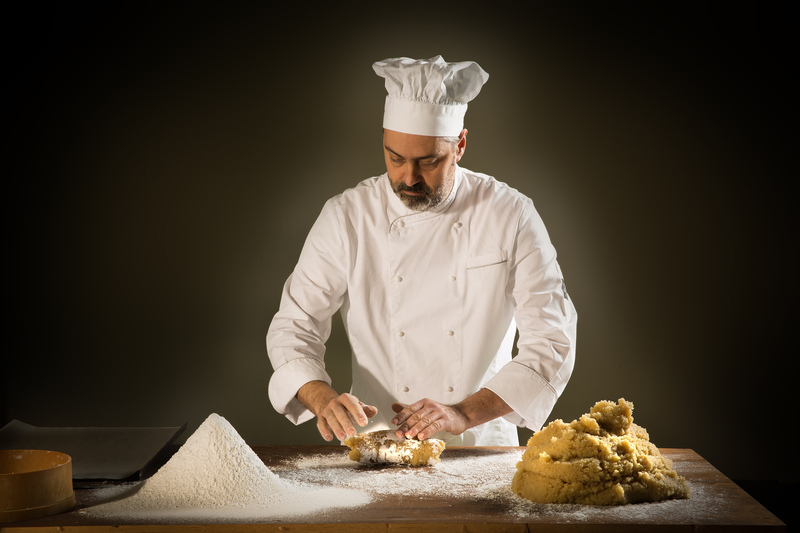 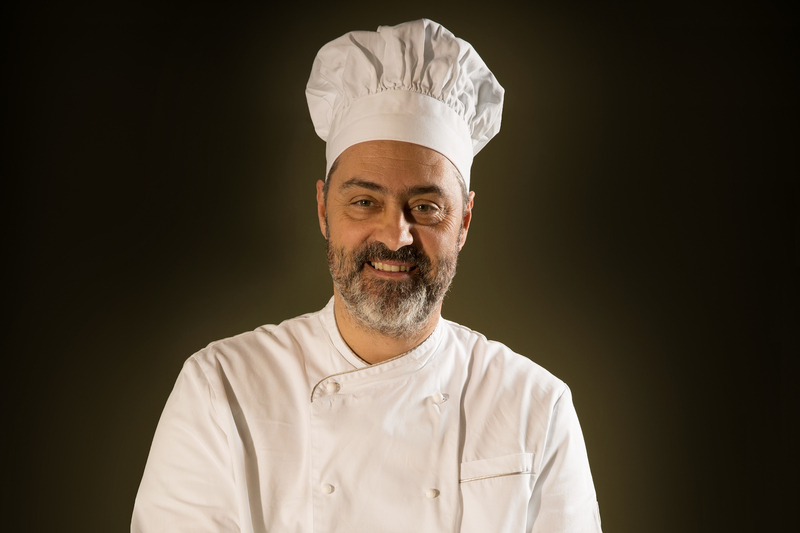 Today, Fiore is an important production company in the Sienese territory that employs over one hundred employees, but despite this it has not lost its craft spirit and the meticulous attention to the historicity and originality of the recipes. 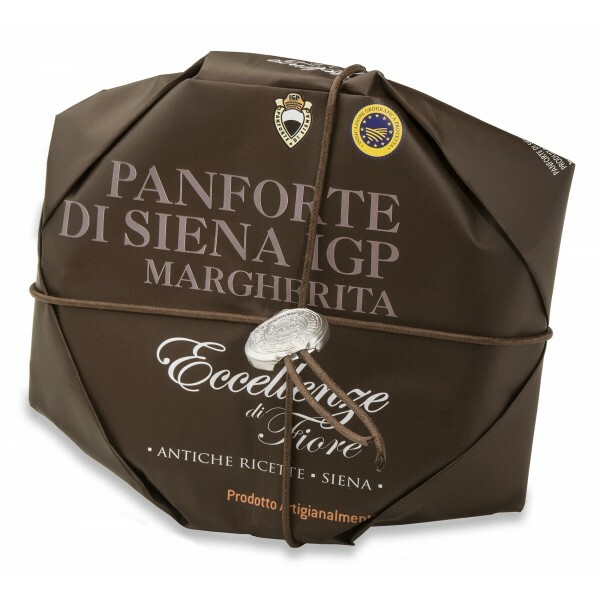 Panforte of Siena I.G.P. 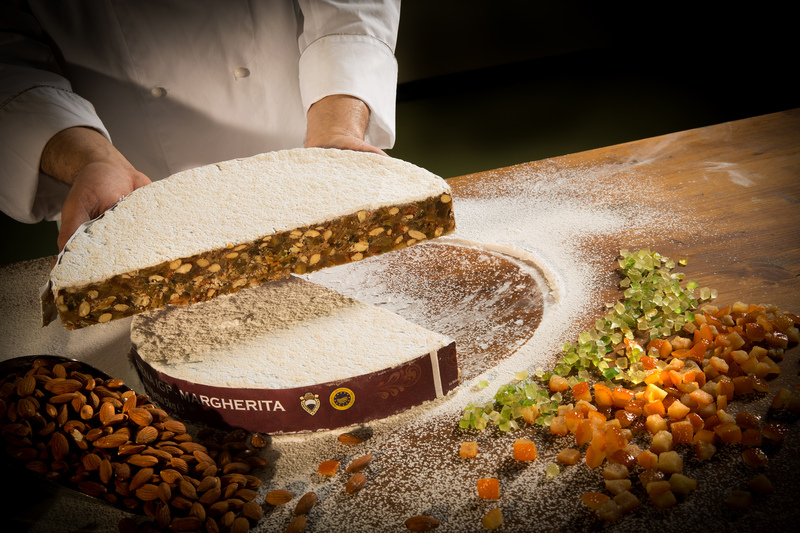 made according to the ancient Sienese traditions. 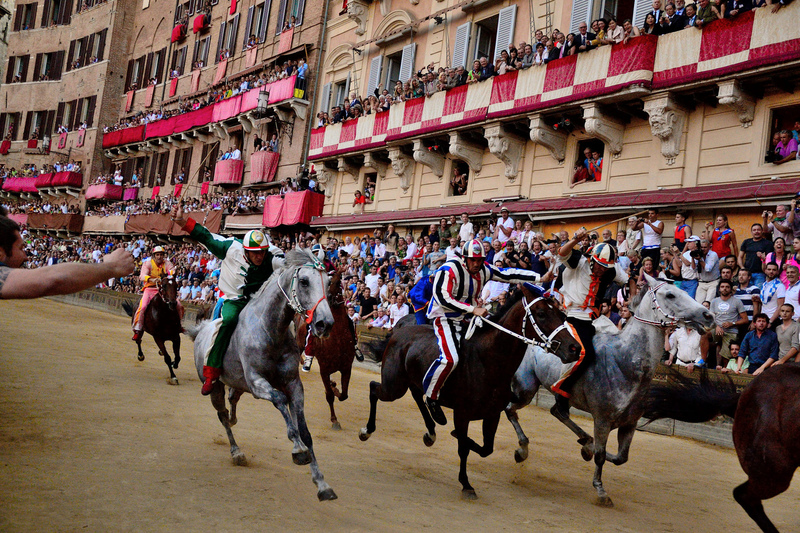 It was the year 1879, when on the occasion of the Palio of the Assumption Queen Margherita di Savoia visited the city of Siena. 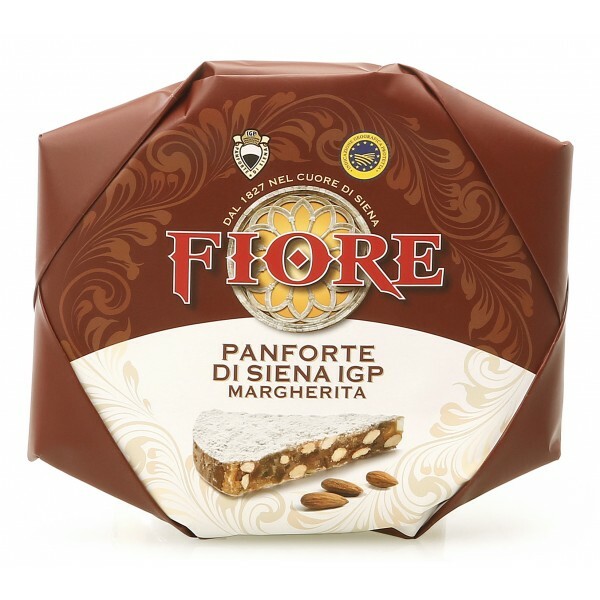 To celebrate the event, and make it honorable, it was dedicated to the product that at that time was the food symbol of power and wealth: the Panforte. 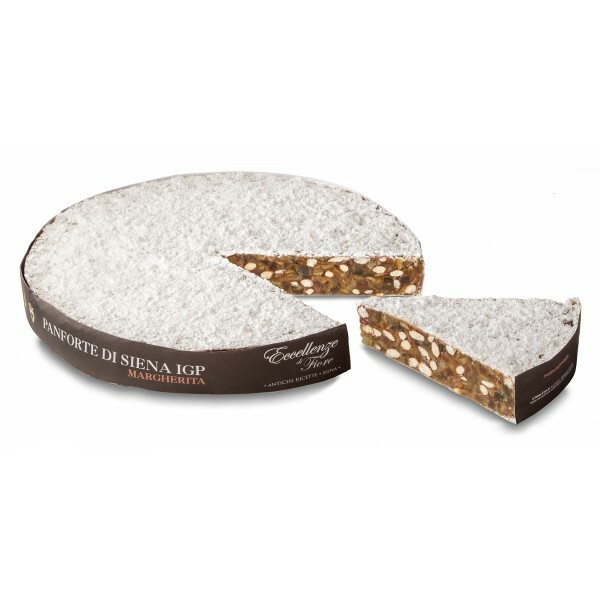 Panforte of Siena I.G.P. 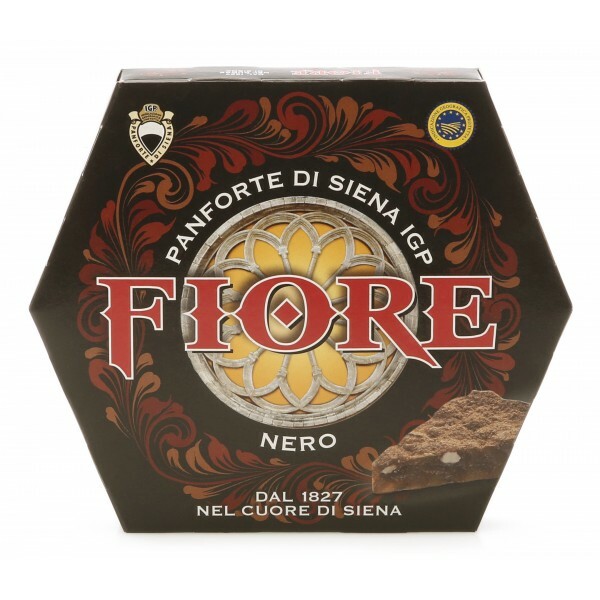 Black made according to the ancient Sienese traditions. 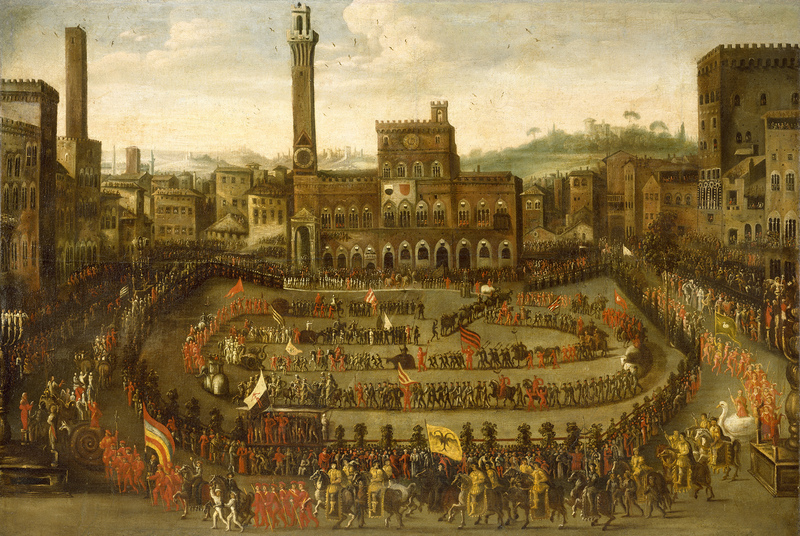 It was the year 1879, when on the occasion of the Palio of the Assumption Queen Margherita di Savoia visited the city of Siena. 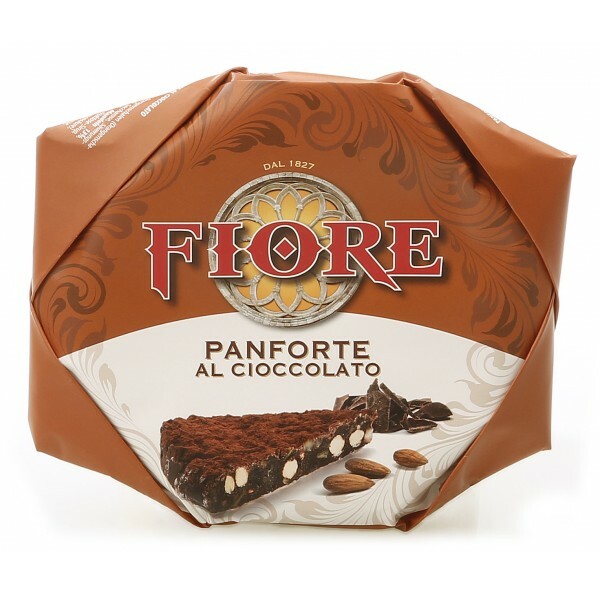 To celebrate the event, and make it honorable, it was dedicated to the product that at that time was the food symbol of power and wealth: the Panforte.